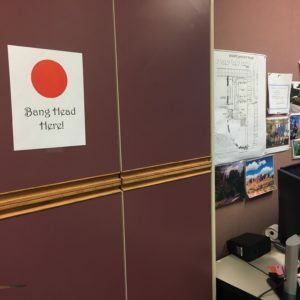 You go into GM Rhonda Ciacco’s office and there, about eye-level, you’ll see a paper taped to the wall with a big red dot and the instruction “Bang Head Here”. That’s Rhonda. She’s quick to a joke about her frustrations, but then again, when you’re great at something you get more of it and Rhonda happens to be great at solving problems. 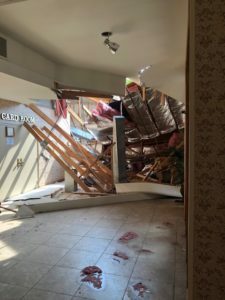 Speaking of problems, when I saw Rhonda recently she pointed out the microburst that did so much damage The Resort came on the night of July 9th and the deluge that flooded Silveridge came on August 9th. “So,” she said, “on September 9th I’m going to dig a big hole and climb in and hide.” That’s Rhonda. But maybe, just maybe her job is going to be a bit less demanding — she just got more help, a new Assistant to the General Manager, Jennifer Krask. 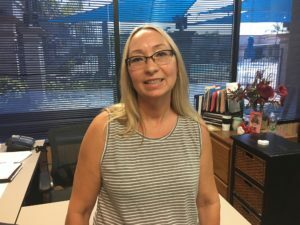 Although Jennifer is new to Silveridge and The Resort, she’s fresh from ten years of experience at Tempe Cascade, a large mobile home park that was, until recently, owned by someone familiar to most residents at Silveridge and The Resort, Al LaCanne. She only started her new assignment on August 1st, so she and Rhonda aren’t yet sure how they’ll divvy up duties, but Jennifer has moved into The Resort and will be helping at both parks. Not only is Jennifer a Phoenix native, but so were both her parents. Other than eight years in Southern Illinois, she’s lived her life in the Valley. Her husband passed away but she has, as she put it, “Three children and seven-and-a-half grandchildren.” That’s three daughters, two of them twins. One twin is a butcher, one is staying home during the last part of her pregnancy, while the third daughter is a teaching assistant working with special needs kids. Spending some time with Jennifer, it quickly became clear that she hates talking about herself, but I did get her to tell me the story of being a kidney donor. It was back in ‘01when she learned that her great uncle Bob was faced with kidney failure and headed for dialysis. Several family members got tested as possible donors and she was the one, the best match. She shrugged off the notion of her selflessness and said simply, “It was family. I would have done if for anyone in the family.” The surgeries were at Mayo Clinic and both recovered nicely. 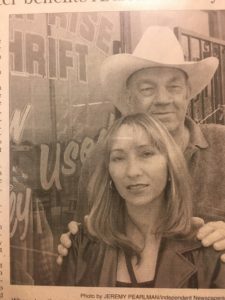 Soon after, Bob’s wife, inspired by her husband’s struggles and Jennifer’s generosity, decided to open a thrift store that donated a share of the proceeds to the Arizona Kidney Foundation. While the store only lasted a couple of years, Bob lived on for another six years, till emphysema claimed him. Here’s a photo from a newspaper story that ran shortly after the operations. When needing new installs, or having trouble with cable or internet, please go to the Business Office and fill out GDS work request form. Rhonda enters your work request info into the GDS link and they will call for appointments. The GDS phone number is no longer available and Rhonda has changed the procedure and will be personally handling each request. In case you missed it, in mid-August an online Special Edition of The Silveridge Sun carried photos of the big summer storm and an update on repairs. You can see that edition by clicking below.